Often used in industrial, commercial and even residential settings, 316 stainless steel possesses the high tensile strength and durability that virtually all steels are known for, as well as having excellent forming and welding characteristics. Tubes made of this material can be used in high heat applications as its melting point is 1,350 to 1,400 degrees C.
Although 304 stainless steel tubing is slightly more common and has a higher melting point, grade 316 is a close second and has a far greater resistance to corrosion and wear than other austenitic steel types. For these reasons and more, this is a popular material selection for the manufacture of steel tubing in corrosive applications such as petrochemical, water treatment, pulp and paper, automotive, medical, dental, semiconductor, food processing and aerospace industries among others. Products include fuel lines, architectural supports and even medical implants and instruments as 316 is an easily sanitized surgical grade austenitic steel. Although this alloyed tubing has a higher initial cost than many other options, the elemental structure significantly increases tube longevity, reducing long term expenses such as maintenance and replacements. While 316 stainless steel will eventually need repair or replacement, this material is easily melted down and recycled, further reducing costs and waste. 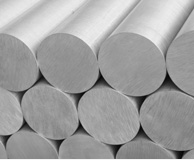 As with all steel alloys, grade 316 is composed predominantly of iron. Carbon is an important metallic additive in the production of steel and chromium is necessary in amounts of 10percent or more to make steel stainless. It is the molybdenum content of grade 316, however, that allows its corrosion resistance to surpass that of many other alloys. Popular variations of 316 include 316L, 316H and 316Ti, all of which are available in tube stock shapes and finished products. Low carbon variants, grade 316L, have improved weldability though high carbon variants, 316H, perform better at elevated temperatures as does 316Ti which is composed of up to 0.5% Titanium. The specific alloy selected for a given tubing application is determined by the intended use. The manufacturing process must also be taken into account. Common processes in the production of stainless steel tubing include welding, seamless tubing via extrusion and metal spinning. Seamless tubing is preferred in instances where an edge could be caught and slow or stop production while welded tubes offer a higher degree of precision. The process and particular stainless steel alloy should be carefully considered with regards to the intended use of a 316 stainless steel tube. Further considerations include inner and outer diameters, length, wall thickness, pressure rating, maximum bend radius, temperature range and finishing. As tubing is often a stock shape intended for secondary operations such as roll forming, stamping, heading and drawing, the machining possibilities of 316 stainless steel and its variants should also be suited to the needs of the finished product. 316 Stainless Steel Tubing 316 stainless steel tubes are hollow, cylindrical machine and piping components made of a specific grade of steel alloy and used most commonly to transport fluids and gases.